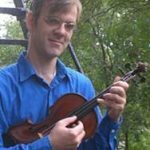 Ralph Allen, violinist and violist, has a BA in Philosophy from Yale, and degrees in music from the Cleveland Institute of Music, SUNY Stony Brook and the Royal Conservatory in the Hague. He studied with Dorothy Delay, Donald Weilerstein, Robert Mann, and Vera Beths, and has performed with opera, baroque, and contemporary ensembles throughout Europe, Israel, the Far East, and the US. He participated in numerous festivals such as Aspen, Tanglewood, The Bach Aria Festival, Schleswig-Holstein (Germany), “Encounters” with Isaac Stern and friends in Jerusalem, Kfar Blum (Israel), and Prussia Cove (England). He performed as soloist with the Chamber Orchestra of Philadelphia, the Yale Symphony, The Cleveland Institute of Music Chamber Orchestra, and the Stony Brook Orchestra. While living in Holland, Ralph played with contemporary music groups such as the Schoenberg Ensemble, Asko Ensemble, Music Fabrik (Germany), and Ensemble Remix (Portugal). Recent performances include a tour with the Mark Morris Dance Group, and chamber music performances in New Hampshire, Vermont, Philadelphia, State College, PA, New Bedford, MA, and in Stamford, CT as well as an appearance on the Late Show with David Letterman with the orcheatra of St. Luke’s. In the summers, Ralph teaches at Apple Hill in New Hampshire and the Elm City Music Festival in Connecticut. He currently lives in Israel, where he performs with the Israel Symphony.